Obviously I bored most of the reading audience here totally to tears with the last post. How about something simpler today? I had some pieces published by Classic Elite, a few of which remain in their print collections, and one small item – also published by KnitNet – that I thought had disappeared entirely. But nothing in my house disappears forever. It might become entombed in a box somewhere, but forgotten in this case is not the same as gone. 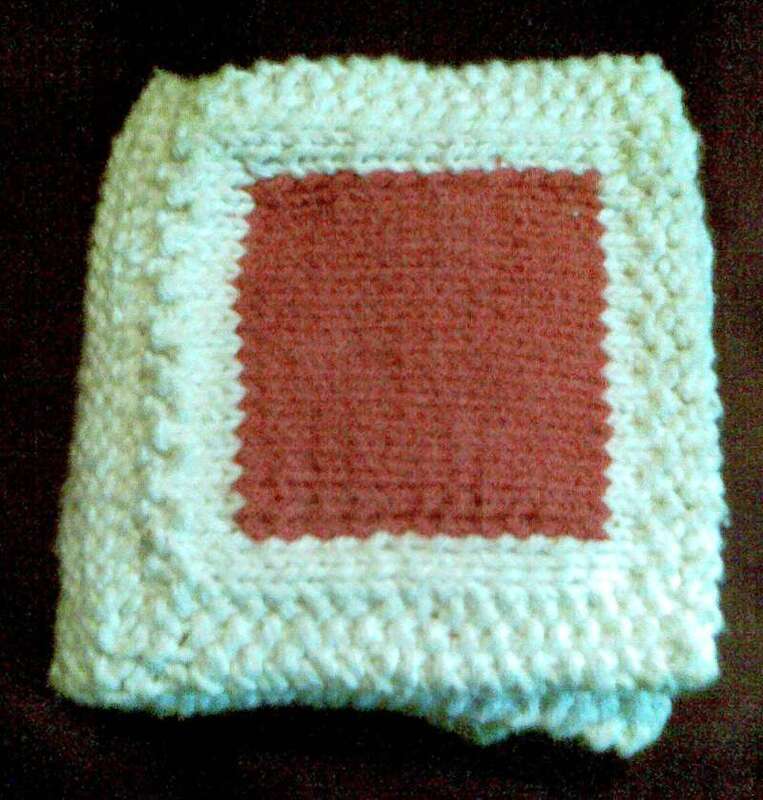 I was doing some spring cleaning and de-cluttering this weekend and found the soft book baby toy that I knit long before the arrival of Younger Daughter (now in middle school). 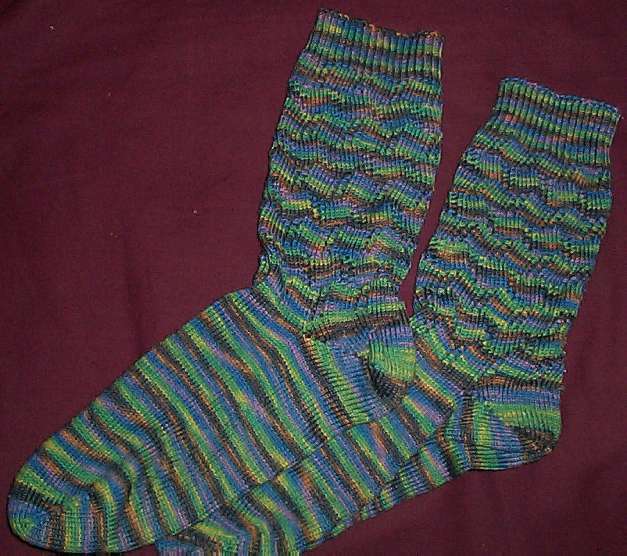 After the strip was knit, it was folded accordion style, and the tops and bottoms of each page were seamed together. Finally the leftmost edge of the front page and the rightmost edge of the last were sewn up to make the spine (I’d left the garter stitch edging on those two ends longer to compensate for the bulk of the book). 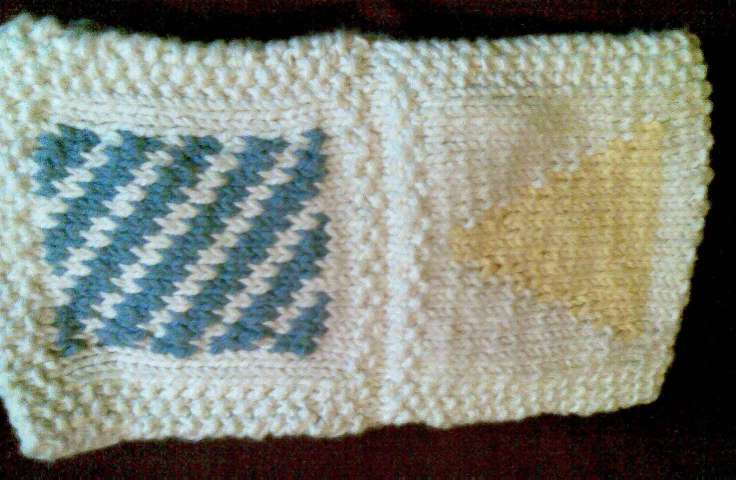 I used Bernat Handicrafter cotton at about 5 stitches per inch. The pages are each approximately 5 inches square. 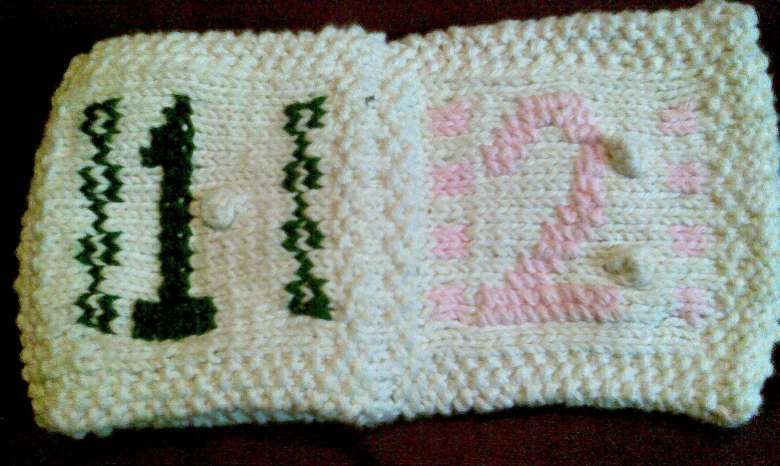 The two number-bearing squares each sport bobbles, one on the 1 page, two on the 2 page. 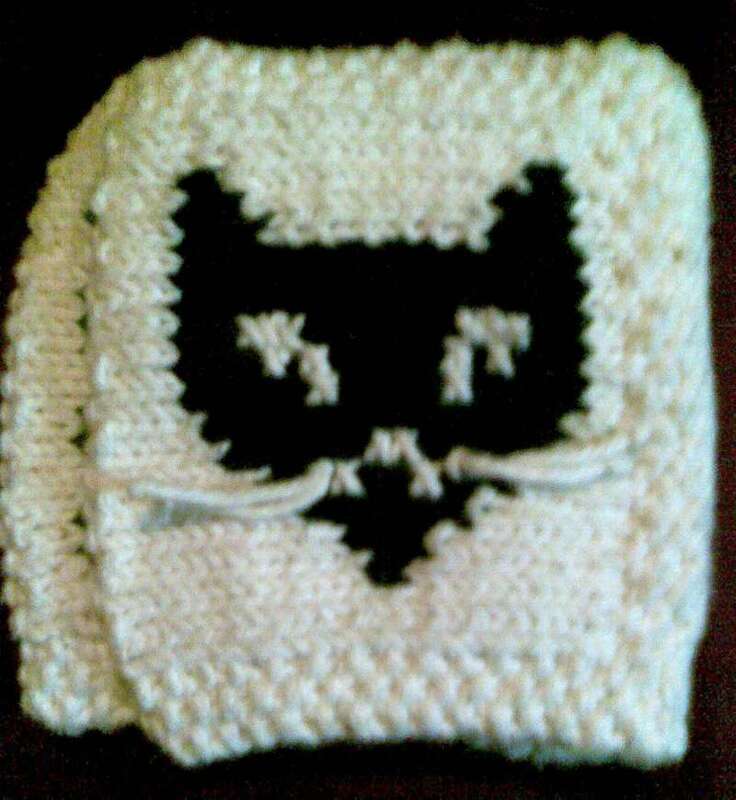 The whiskers on the cat face are solidly knotted bits of the same yarn. The idea being that nothing on the book should come loose if it was mauled by the target recipient. I had plans to offer up a whole bunch of additional simple graphed motifs in concert with the knit sample, but KnitNet was only interested in the original six. I have no idea if anyone else ever made this, but the original book was well loved (and chewed) by Younger Daughter when she was in the toy-ingestion phase. As you can see, the Handicrafter held up well, surviving lots of hot washes, although the yellow triangle and pink 2 pages both are no where near as vibrant as they once were. Not bored, simply astound, speachless even. One doesn’t often see Shakespeare used in any form, loosely or not, in the ‘blog-o-sphere.’ I am dutifully as impressed with your needlework!